The US Senate votes to legalize hemp, the State Department gets behind Colombia's plan to reintroduce aerial fumigation of coca crops, an Arizona court rules that hash isn't medical marijuana, and more. 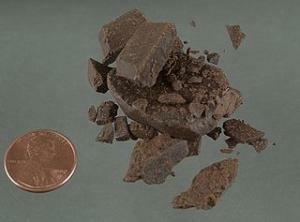 Arizona Appeals Court Rules Patients Face Can Be Arrest For Hashish. The state Court of Appeals ruled Tuesday that medical marijuana patients can still be arrested for possessing hashish because it wasn't included by name in the voter-approved medical marijuana initiative in 2010. The ruling came in the case of card-carrying patient Rodney Jones, who was caught with 0.05 ounces of hash. After spending more than a year in jail, he waived his right to a jury trial, but not his right to appeal. "If the drafters wanted to immunize the possession of hashish they should have said so," the ruling said. "We cannot conclude that Arizona voters intended to do so." Arizona Attorneys for Criminal Justice, which is supporting Jones, said the ruling will be appealed to the state Supreme Court. Oklahoma Sees First Medical Marijuana Clinic. That didn't take long. Just hours after the polls closed Tuesday and voters approved a medical marijuana initiative, the Tulsa Higher Care Clinic opened for business. The clinic provides doctors who will write medical marijuana recommendations, but it isn't selling any product… yet. US Senate Votes to Legalize Hemp. The Senate passed the omnibus Farm Bill Thursday, and that bill includes an amendment from Senate Majority Leader Mitch McConnell (R-KY) that legalizes the cultivation, processing, and sale of hemp. For years, the DEA has refused to recognize hemp as distinct from marijuana, but that distinction will be enshrined in law if the bill is signed into law. "Consumers across America buy hundreds of millions in retail products every year that contain hemp," McConnell said in a floor speech on Thursday. "But due to outdated federal regulations that do not sufficiently distinguish this industrial crop from its illicit cousin, American farmers have been mostly unable to meet that demand themselves. It's left consumers with little choice but to buy imported hemp products from foreign-produced hemp." State Department Supports Resumption of Aerial Coca Eradication in Colombia. The US State Department Thursday expressed its support for resuming aerial coca spraying in Colombia. "The United States believes that all tools must be used to reverse the sharp increase in cocaine production," a department spokesperson said. Aerial fumigation was banned in 2015 because of environmental damage and health concerns for residents of areas being sprayed. Colombia produced a record amount of cocaine last year. A federal bill to let states experiment with marijuana policy is back, CBD cannabis oil and medical marijuana study bills advance at the statehouse, trouble is bubbling up in Morocco's hash-producing regions, and more. Republican Congressman Files Federal Bill to Let States Set Own Marijuana Policies. 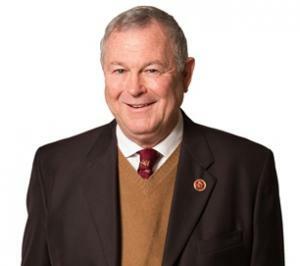 Rep. Dana Rohrabacher (R-CA) Tuesday filed House Resolution 975, the Respect State Marijuana Laws Act. The bill would resolve conflicts between state and federal laws by exempting people and entities from certain provisions of the Controlled Substances Act if they are acting in compliance with state laws. Rohrabacher authored similar legislation in the last Congress, garnering 20 cosponsors, including seven Republicans. Minnesota Legalization Bill Filed. Rep. Jon Applebaum (DFL-Minnetonka) filed a bill Wednesday to legalize marijuana for recreational use. "Minnesotans are rightfully developing different attitudes on marijuana," Applebaum said in a news release. "Other states' successes, along with the failed prohibition attempts of others, validated the need for a statewide conversation," he added. The bill is not yet available on the legislative website. Georgia Bill to Lower THC Levels, Add Autism Advances. A bill that would add autism to the list of qualifying conditions for using CBD cannabis oil, but would also lower the amount of THC in cannabis oil was approved by the Senate Health and Human Services Committee. Medical marijuana advocates like Senate Bill 16 for its autism provision, but don't want the lower THC provision. The bill would drop allowable THC levels from 5% to 3%. Utah House Passes Medical Marijuana Research Bill. The House voted overwhelmingly Tuesday to pass House Bill 130, which would allow universities in the state to study medical marijuana. The bill is a fallback after legislators retreated from earlier plans to push an actual medical marijuana bill. The bill now advances to the Senate. Wisconsin Senate Approves CBD Cannabis Oil Bill. The Senate voted overwhelmingly Wednesday to approve a bill allowing for the use of CBD cannabis oil to treat seizures. Senate Bill 10 now heads to the House. Maryland Bill Would Set Criminal Penalties for People Who Sell Drugs Linked to Fatal Overdoses. A bill that would set criminal penalties of up to 30 years in prison for people who sell heroin or fentanyl where "the use of which is a contributing cause to the death of another" has been filed in the House. The measure, House Bill 612, aims not only at the person who directly sold the drug, but also anyone in the supply chain. It's scheduled for a committee hearing on February 28. Morocco Drug Control Policy Sparking Unrest in Country's North. The death of an illegal fish vendor in November has sparked months of widespread protests and unrest in Morocco's Rif, but that unrest has been brewing for years thanks to a lack of economic development and the government's harsh treatment of cannabis growers, one of the few economic activities available to area residents: "This situation in which Rifans are left with few other economic options than to engage in illicit activities and risk criminal sanctions is aggravated by the harsh provisions of the Moroccan narcotics law. While drug use is punished with two months to one year in prison, the law allows for up to 30 years for drug trafficking offenses. The average sentence is around 10 to 15 years, even for minor, non-violent offences." Philippines President Insults Former Colombia President Over Drug Policy Criticisms. Philippines President Rodrigo Duterte called former Colombian President Cesar Gaviria "an idiot" for publishing an article in the New York Times criticizing Duterte's murderous crack down on drugs. "To tell you frankly... they say that Colombia leader has been lecturing about me. That idiot," Duterte said. 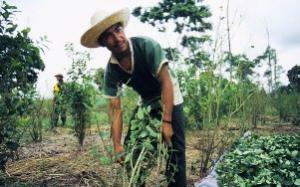 Colombia Gives Land Titles to Families Abandoning Coca Crops. The Colombian government announced Monday it will grant land titles to some 10,000 peasant families that have given up on coca production. The program will take place in southern Cauca, Nariño and Putumayo provinces, where about half the country's coca is grown. The move comes after the government and the leftist guerrillas of the FARC agreed to a crop eradication and substation program last month. Two federal agencies make drug policy-related announcements, Syrians are fleeing the ISIS caliphate to work in the hash fields of Lebanon, and more. DEA Eases Requirements for Natural Marijuana-Derived Research. The DEA today eased some restrictions on research evaluating cannabidiol (CBD) for medicinal use. The changes will relax some requirements imposed by the Controlled Substances Act on use of CBD in specific US Food and Drug Administration-approved research protocols. The changes are in effect immediately. New Hampshire to Begin Issuing Medical Marijuana ID Cards. State officials said today that they will begin issuing ID cards to registered medical marijuana patients beginning Monday. While dispensaries in the state won't open until the spring, people with the ID cards will be able to buy medical marijuana in neighboring states that have reciprocity. Justice Department Suspends Asset Forfeiture Equitable Sharing Program. The Justice Department released a memorandum Monday notifying law enforcement agencies that it is temporarily suspending the equitable sharing program asset forfeiture funds because of tight budgets. This means law enforcement agencies will no longer get a share of federal funds confiscated through civil asset forfeiture, and that means law enforcement agencies have lost a considerable financial incentive to turn drug busts over to the feds. Many state laws require seized funds to be allocated to the general fund or education funds, and law enforcement agencies used the federal equitable sharing program to get around those laws. Under the federal program, the local seizing agency got 80% of the haul. 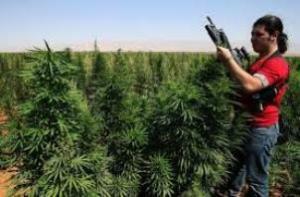 Syrians Flee ISIS to Harvest Hash in Lebanon. Refugees from Raqqa, the capital of the ISIS caliphate, are fleeing across the border to Lebanon, where they can get work in that country's booming cannabis trade. Their work in the trade places them in danger of retribution from the jihadists if they return home, they said. "If Islamic State back home knew we work with hashish, they would cut us" with knives, said one refugee. A bill decriminalizing marijuana possession and allowing personal cultivation is moving in Chile, a bill regulating the medical marijuana industry is moving in California, the CDC issues another warning about heroin, Miami Beach is the latest South Florida community to decriminalize, and more. Montana Legalization and Medical Marijuana Initiatives Filed. Two separate marijuana reform initiatives have been filed with the secretary of state's office recently. They are ballot issues #7 and #8 on the official website. Ballot Issue #7 is the legalization initiative, submitted by a Glendive man who says he plans to bicycle the state to gather signatures. Ballot Issue #8 is the medical marijuana initiative. Both initiatives are now being reviewed by legislative services and must be okayed before signature gathering can begin. Miami Beach Decriminalizes Possession. Miami Beach city commissioners voted unanimously today to approve an ordinance to fine those caught with small amounts of marijuana instead of arresting and jailing them. Under the ordinance, police will have the option of issuing a $100 ticket to people caught with less than 20 grams, but could still arrest them at the officer's discretion. Miami-Dade County recently passed decriminalization, and Palm Beach is considering a similar move. California Medical Marijuana Regulation Bill Advances. The Assembly Business and Professions Committee approved the medical marijuana regulation bill, Senate Bill 643, on Tuesday. The bill provides a statewide regulatory framework for the industry, and has already passed out of the Senate. CDC Again Sounds Alarm on Rising Heroin Use. In a report released Tuesday, the Centers for Disease Control and Prevention (CDC) warned that heroin use in the US has grown at "an alarming rate," with overdose deaths doubling between 2011 and 2013. Heroin use is up among multiple demographic groups, but the biggest increases were among white people, women, and people with higher incomes and private insurance. "Heroin use is increasing at an alarming rate in many parts of society, driven by both the prescription opioid epidemic and cheaper, more available heroin," CDC Director Tom Frieden said. "To reverse this trend we need an all-of-society response -- to improve opioid prescribing practices to prevent addiction, expand access to effective treatment for those who are addicted, increase use of naloxone to reverse overdoses, and work with law enforcement partners like DEA to reduce the supply of heroin." Chilean House Approves Decriminalization, Personal Cultivation Bill. The lower house of the Chilean congress has approved a measure that would decriminalize possession of marijuana for personal use of up to 10 grams and allow people to grow up to six plants of their own. Now, the bill must be reviewed by a health committee before the lower house votes again on its specific elements. The bill would then go to the upper chamber. Poll: BC Residents Say Legalize It! A new Insights West poll has support for marijuana legalization at 67% among adult residents. Support was even higher among young adults, with the 18-to-34 age bracket coming in at 72%. Click the link for more details. Canadian Electronic Music Festival in Doubt After Offering Pill Testing Services. Just yesterday, we noted that the Evolve Music and Awareness Festival set for this weekend in Nova Scotia had taken the ground-breaking harm reduction step of offering pill testing services for attendees. But now there's a hitch: As a result of the pill testing plan, his insurance company underwriters have pulled its liability insurance, and now the festival may not be able to go on at all. Organizers are looking at their options. Moroccan Head of State Rejects Legalizing Marijuana Cultivation. Head of state Abdelilah Benkirane said Tuesday his government will not allow the legalization of cannabis cultivation, and that those who claim differently are selling "illusions" to the country's hash farmers. Morocco is one of the world's leading hash producers. 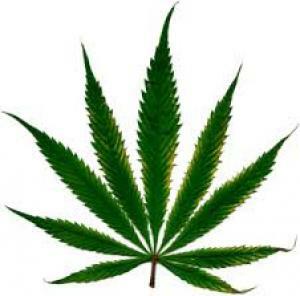 Opposition parties have called for the legalization of cultivation. A Louisiana poll shows rising support for marijuana legalization; if Massachusetts want to legalize, it will be up to the voters; Wichita votes to decriminalize it, a CBD cannabis bill dies in Indiana, France okays safe injection sites, and more. Louisiana Poll Sees Rising Support for Legalization, But Still No Majority. The 2015 Louisiana Survey, released Tuesday, shows support for marijuana legalization at 45%, up from 42% two years ago. Opposition was at 52%, down from 56% two years ago. Support was twice as high in southwest Louisiana (57%) than northeast Louisiana (28%). The state has some of the harshest pot laws in the country, but the legislature appears little inclined to do anything about them. Massachusetts Lawmakers to Punt on Legalization. There is "no appetite" among lawmakers to address marijuana legalization, leaving the field open for ballot initiatives next year, said Senate President Stanley Rosenberg. "There's been conversations and there seems to be no appetite in the Legislature to take up... recreational marijuana, so you should expect to see it on the ballot in 2016," Rosenberg (D-Amherst) told the Boston Herald's internet radio station on Tuesday. Wichita Votes to Decriminalize. Voters in Wichita voted 54% to 45% to approve a local initiative to decriminalize small-time marijuana possession. The measure would make first-time possession an infraction with a $50 fine. But state law says it is a misdemeanor punishable by up to a year in jail, and state Attorney General Derek Schmidt (R) has vowed to sue the city if it passes. Stay tuned. Indiana CBD Cannabis Oil Bill Killed. A bill to allow for the use of CBD cannabis oil to treat children with epilepsy sailed through the House earlier this session, but was killed by a Senate committee vote Tuesday after prosecutors opposed it, saying it was similar to legalizing medical marijuana. Massachusetts Revamps Application Process for Registered Dispensaries. The state Department of Public Health (DPH) today announced significant changes to the Commonwealth's Medical Marijuana Dispensary program first authorized in 2012. The revised process will license Registered Marijuana Dispensaries (RMD) in a format similar to other healthcare facilities, such as pharmacies, which DPH also administers. This process will phase out the current use of state procurement policies to register a dispensary. Click on the link for more details. Kentucky GOP Gubernatorial Hopeful Proposes Drug Testing Welfare Recipients. Would-be Republican gubernatorial nominee Hal Heiner is seeking to win support from the base by pushing a scheme to drug test welfare recipients. 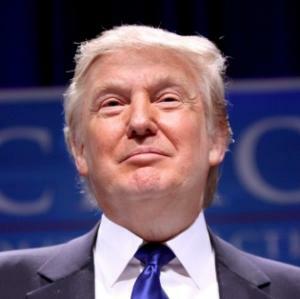 He made the call in a series of TV ads that began appearing yesterday. "I am simply asking welfare recipients to do what many employees in Kentucky are already required to do," Heiner said in a statement. "If working Kentuckians can be required to take drug tests, it is certainly reasonable to expect those who are benefiting from their tax dollars to do so as well." France Approves Safe Injection Sites. The National Assembly Tuesday adopted a draft health law that will allow for safe injection sites for injection drug users. Opposition deputies denounced the move as "a first step toward legalizing drugs," for creating "no-go zones," and for sending "incomprehensible messages to our youth," but they did not prevail. Pilot sites will open in Paris, Bordeaux, and Strasbourg, and the law will prevent users from being arrested for drug possession within safe injection sites. Safe injection sites already operate in around 10 countries, including Australia, Canada, Germany, the Netherlands, and Spain. Call for Hash Legalization in Egypt Sparks Lively Debate. Just a few days ago, Cairo tobacco traders called for hash legalization as a revenue measure and submitted a proposal to that effect to the cabinet, and that has sparked strong reactions. 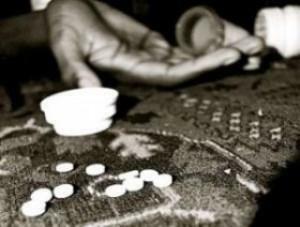 The Ministry of Social Solidarity's Drug Control and Addiction Treatment Fund warned that hash is a serious threat to Egypt, which is "safe by nature." The fund claimed hash is a major factor in road accidents because it causes "lack of awareness of one's surroundings." The fund also claimed that a survey it conducted found that 86% of rapists and 23% of murderers were hash users. But hash users cited in the story disagreed. Click on the link for more. Mexican Cartel Attack Kills 15 Cops in Jalisco. An ambush of a police convoy by presumed drug cartel gunmen on the highway between Puerto Vallarta and Guadalajara left 15 policemen dead and five wounded. It was the deadliest attack on Mexican police since 12 federal police were killed in neighboring Michoacan state in 2010. Fingers are being pointed at the Jalisco New Generation Cartel, which has grown to be one of the country's most powerful. The state has seen a spate of violence in recent weeks, including a March 19 ambush of federal police that killed five, a March 23 shootout in which police killed a gang boss, an unsuccessful March 30 attempt to assassinate the state security commissioner, and the killing Monday of the police chief in the town of Zacoalco de Torres. The security commissioner said the recent attacks were revenge for the killing of the gang leader. Who could have imagined? Marijuana arrests drop dramatically in Colorado, CBD cannabis oil bills move in Georgia and Idaho, Kentucky heroin bills are stalled, a leading Moroccan political figure calls for cannabis amnesty, and more. 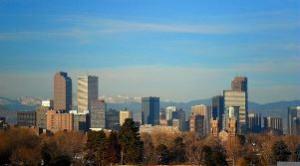 New Report Shows Massive Decrease in Colorado Marijuana Arrests. A new report from the Drug Policy Alliance finds that marijuana possession arrests have declined by more than 90%, cultivation arrests have dropped 96%, and distribution arrests are down 99% since the state approved legalization in 2012. But blacks continue to get charged with marijuana offenses at a rate 2.4 times that of whites, a figure unchanged from pre-legalization days. Georgia Senate Passes CBD Cannabis Oil Bill. The state Senate Tuesday approved House Bill 1, which would allow the use of the oil for eight specified medical conditions. The bill has already passed the House, but because it was amended in the Senate, it has to go back for a final House vote. That was expected to happen today. Idaho Senate Approves CBD Cannabis Oil Bill. The state Senate voted 22-12 Tuesday to approve Senate Bill 1146, which would allow the use of the oil for children with severe forms of epilepsy. The bill had originally only offered an affirmative defense to prosecution, but was amended in the Senate to go further. The bill now heads to the House. Kentucky Heroin Bills Stalled as Legislators Squabble. Legislators are scrambling to salvage legislation to address heroin and opiate use after a compromise effort apparently fell apart over the weekend. The deal had included funding for treatment, a 911 Good Samaritan clause, expanded use of the overdose reversal drug naloxone, and tougher penalties for heroin dealers. But now, it looks like either a watered-down compromise will pass, or nothing at all -- for the second straight year. Arizona Congressional Delegation Files Bills Targeting Cartel Lookouts. Arizona Republican federal legislators have authored a pair of bills that would increase penalties for people acting as lookouts for drug smugglers crossing the US-Mexico border. The bills would impose a maximum prison sentence of 10 years for "unlawfully hindering immigration and border control." Rep. Martha McSally (R-AZ) introduced HR 1588 in the House, while Sen. John McCain (R-AZ) filed the companion bill, S 847, in the Senate. Leading Moroccan Political Figure Again Calls for Amnesty for Marijuana Growers. The secretary general of one the country's major opposition parties, the Istiqlal Party, has called again for amnesty for pot growers. Morocco is a leading world producer of hash, much of which is destined for European markets. Hamid Chabat said nearly 80,000 growers are out on bail while "corrupt and money launderers enjoy amnesty." He also called for legalization of marijuana for medical purposes, saying it could be exported as well as used for "the health of the people."